When federal agencies create regulations, they go through a regimented rulemaking process. This process ensures transparency and gives members of the public ample opportunity to provide input on the content of the rules. The major steps in the federal rulemaking process and explained below. Before a federal agency can issue rules, it must have the statutory authority to do so. The U.S. Congress often passes laws directing federal agencies to issue regulations. Such a law gives the agency a general policy direction but leaves the details to expert public administrators. In addition to working within enabling legislation, agencies must abide by the Administrative Procedures Act which governs federal rulemaking. While bureaucrats writing regulations may seem like a violation of the separation of powers fundamental to the American government, federal agencies may enact rules solely within the statutory authority granted to them by Congress. These administrative laws allow regular citizens to have a greater influence on regulations that could directly impact them. Citizens are given opportunities to propose rule language and comment on language agencies propose. Citizen involvement tends to produce better public policy outcomes than what Congress would produce. Just because Congress defers to agency experts on issues that most members of Congress know little about does not mean federal agencies can run wild. After the rulemaking process is over, Congress can still question agency leaders on the decisions they made in the rulemaking process. Federal agencies are required to produce rulemaking planning documents. These documents give notice to the public on the rulemaking activity coming up shortly. Agencies produce a Regulatory Plan each year in the fall and an Agenda of Regulatory and Deregulatory Activities in the fall and spring. Together they are called the Unified Agenda. Regulations cannot be made in a vacuum. To improve the regulations and to mitigate the risk of the rules being challenged in court, agencies engage stakeholders in the rulemaking process. They can do this formally and informally. Agencies informally engage stakeholders by contacting stakeholders they know and gathering their input before rules are drafted and during drafting. To engage stakeholders formally, agencies post an Advance Notice of Proposed Rulemaking in the Federal Register. The notice begins the comment process before the standard public comment period that occurs once rules are proposed. Summary: A statement describing the issue the proposed rules addresses and how the rule addresses the issue. Dates: The date when the public comment period closes. Addresses: The methods by which a citizen or group may comment on the proposed rules. Supplementary Information: A discussion of the benefits of the proposed rule, key data and other information used in rule writing, explanation of public policy choices made and citation of legal authority to enact the proposed rule. The public comment period gives citizens and interest groups the opportunity to make known their opinions about a proposed rule. Ideally, most people and groups inclined to comment on a proposed rule would have been engaged by the agency before the proposal. Even the best possible efforts to engage stakeholders will not reach all potential commenters, so the public comment is critical to the rulemaking process. Comment periods typically run for 30 to 60 days, but some comment periods have been more than 180 days. More extended comment periods are given for very complex rules. Agencies prefer to receive comments through the online portal for rule commenting. Electronic submissions help agencies keep track of the comments. If an agency receives significant comments against a proposed rule, it may revise the rules considering the comments and must repropose the rules. 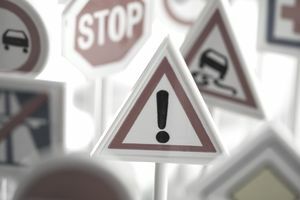 Revisions are not required if the agency still believes it is headed in the right direction with the rules; however, the agency likely will revise the rules in some ways. The agency justifies the policy positions it takes in the subsequent proposal. The agency may also repropose if it is not satisfied with the quality of comments it receives in the original comment period. It would not revise the rules for the subsequent proposal if it simply desires more comments. Once the rule has been proposed, commented on and revised as necessary, it is ready to be published as a final rule. What agencies publish in the Federal Register for the final rule is very similar to the Notice of Proposed Rulemaking. The effective date for the rules replaces the deadline for submitting comments. This date is usually within 30 days of publishing the final rule. The agency also responds to major criticisms in the Supplementary Information section. This helps the public understand the agency’s rationale behind revisions it made to the proposed rule and why it did not incorporate some comments.